In January 2015, we were five strangers who moved into an apartment in Orlando and began working for Mickey Mouse. Hi there everyone! I’m Jaycee, and you are lucky enough to read my bio very first! Just kidding... you poor unfortunate souls. As always, we have to start with my Disney Story. We all have one, here is mine! 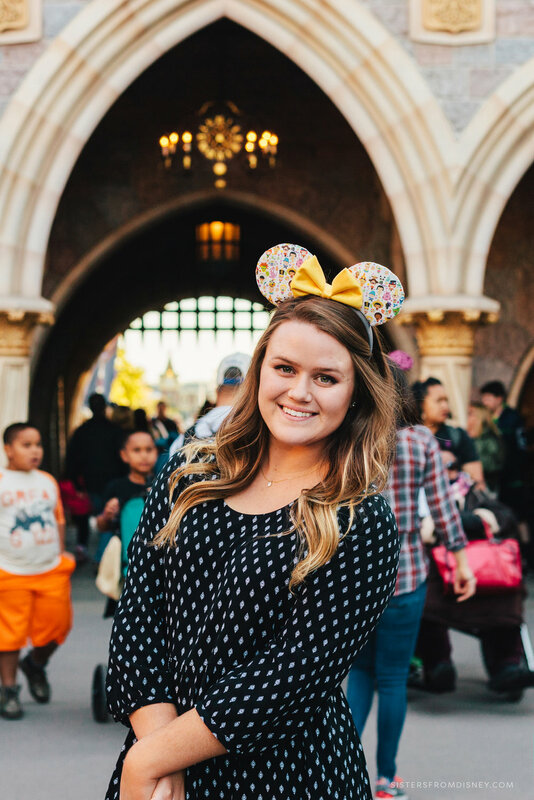 As a little girl, I went to Disneyland a few times, but my true love of Disney sparked my freshman year of college. I had the chance to do a quick weekend trip to Disneyland with two friends. During this trip, I fell completely back in love with the entirety of the Walt Disney Company. It was then a few months later, my family ventured to the opposite coast and visited WDW. Here I met a CP, who inspired me to start my own Disney Journey. A few years later, I can’t get enough of Disney (ask anyone who knows me)! I have been extremely blessed to become a Disneyland AP holder, Walt Disney World AP holder, go on a Disney Cruise, and visit Hong Kong Disneyland. In 2018, I will be visiting Disneyland Paris. I plan on eventually visiting Tokyo Disneyland and Shanghai Disneyland. I love all things Disney food, Disney merch, and Disney entertainment. You can usually find me in the park, drinking a coke and waiting for a show or parade. Nice to meet you fellow Disney lover! My name is Kaitlyn but among the sisters, I am affectionately known as Kat. As a born and raised Californian, I have grown up going to Disneyland my whole life and I have loved every second of it! 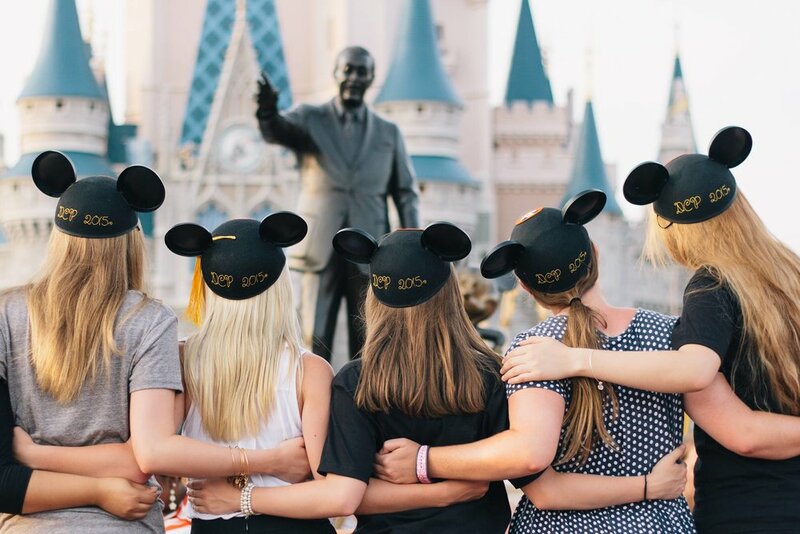 Going to WDW and on Disney Cruise Line with my family, and eventually my fellow Disney Sisters through the College Program, also deepened my love of the parks and the magic that comes with them. So far I have only been to the United States theme parks but some day my dream is to travel to all of the Disney Parks around the world! Ever since I can remember, I have gobbled up all the movies, music, trivia, secrets, shortcuts, and knowledge I could get my hands on! In November 2017, some new magic was added into my life when I married my real life prince charming, Cameron. Everyday with him is an adventure and I love the chance to share with him my love of Disney! Now I am so excited to share all of my Disney know-how with the goal of spreading a little pixie dust to you and celebrating the wonderful magic of Disney! Hiya pals! I’m Erica. And I’m so thrilled you’re here! ! I’ve been thinking about starting something like this for a few years, because I just want to have a Disney love fest all the freaking time. Growing up, my family wasn't too big on TV, since all we wanted to watch were Disney movies over and over again! It was always a treat when mom and dad would announce that we were going to Disneyland! We’d go for one day, one park only. Though this made each trip quick, it made each one so special. Before my DCP, I’d only been to Disneyland 5 times. All those vacations are treasured memories for me. I believe it’s because of this that going to a Disney park, even now after having gone many times, continues to be incredibly sweet to me. I am huge lover of Disney films, yes as an adult without children of my own. I love them for their positive messages, their catchy music (oh, the music!! ), their oh-so-quotable humor, and their amazing examples of good vs. evil. Okay well “adventure is waiting.” See you out there! Hello Mouseketeers! My name is Taylor, and I am a Disneyaholic. I’m not exactly sure when it happened, I think it’s just something that has always been there. When I was little, my family went to the parks a few times, (my favorite ride was tower of terror… Yes, I was an adrenaline junkie since day one!) but sadly, there was a dry spell of no park-going from my preteens until after I graduated high school. I have to say, even though there was a long span between my visits to Disney, I felt like nothing had changed, once I had returned. I was able to be a little kid again, picking up where I left off. I think that is what I love most about Disney. That you can just be who you are, (which for me, is a mix between Anna, Olaf, and Goofy AKA: AWKWARD) and there are zero judgments. You can be a carefree child, you can be adventurous, silly, and most of all, you can believe in those fairy tale happy endings. I am so excited to be apart of this blog, and I can’t wait to see where this takes me, and these crazy ladies who I call, o’hana. Well hi there everybody! My name is Katelyn and to keep it easy, I go by my full name so not to be confused with Kat. I grew up in Idaho with a love of all things Disney. I have 7 little brothers, so you could say I am the real life version of Snow White. It was my dream to always apply to the Disney College Program and my dream came true when I accepted a Character Performer position. My fur friends are incredibly special to me, even today. I am a huge theater nerd and love to perform and sing, so this role was perfect for me. My family loves to visit the parks as often as we can. Last summer I traveled to China and visit Shanghai Disneyland with my dad. Now... Let's get down to business!